1. BAPTISM is the first of the Mysteries (Sacraments) of the Church to be received. It opens the doors to the Christian Faith and to the other Mysteries (Sacraments). Without Baptism, none of the other Mysteries (Sacraments) of the Church could ever be received. 2. Baptism is truly the welcoming of a child into a new “family,” the family of Jesus Christ. In this way, the Virgin Mary also becomes a loving mother for the child, and all baptized Christians throughout the world become the child’s “brothers and sisters.” More specifically for us, Baptism is the formal reception of a new member into our Catholic family, our Maronite family, and on the local level, our parish family. 3. There are wonderful privileges in belonging to a family just as there are also responsibilities. Among those responsibilities, parents need to provide food, shelter and clothing for their children along with a proper up-bringing and an education. All of this is done out of love because parents want their children to grow up to be fine and outstanding adults. 4. The pastor of a parish is also the father of his spiritual family and has similar responsibilities toward his children. That is why the faithful call their parish priest “Father” (Abouna). In the case at hand, the Baptism of children, it is the priest’s duty to remind the parents that among their other responsibilities, spiritual ones should also play a major role. 6. The Catholic church insists that parish priests see to it that parents (or at least one of them) take all of their spiritual responsibilities seriously before Baptizing an infant. In the celebration of the Mystery (Sacrament) of Baptism, the priest plants the “seed” of the Faith and he must be morally convinced that the parents will “water” that newly planted seed. Otherwise, there is the risk that the seed will die. The priest cannot take that risk because the proper care and administration of the Mysteries (Sacraments) is his responsibility just as the overall care of the child is the parents’ responsibility. 7. In light of all that has been stated, the parish priest must make his determination based on what he has witnessed and on information to which he has access. More specifically, he must see if the parents are registered parishioners of his parish. In and of itself, that shows at least that the parents have the intention of being a part of the local “family of Faith.” Through parish registration, parishioners have the privilege of receiving all of the spiritual benefits offered by the Church through their parish priest. Of those, the most important, of course, is the reception of the Mysteries (Sacraments). On the other hand, a registered parishioner is also bound by certain obligations: attending the parish church on a regular basis thereby contributing to the spiritual bond which ties the parish family together, and using the weekly offering envelopes thereby contributing to the temporal responsibilities of the parish. That both Godparents must be at least 18 years old, according to the norms established by the Maronite Church. 9. In the Maronite Church, the Mystery of Chrism (Sacrament of Confirmation) is administered at the same time as Baptism. Parents should be very careful to be sure that the Mystery (Sacrament) of Confirmation is not received again when the child is older. 10. Seeing that a Baptism is the celebration of a Mystery (Sacrament), the Church prescribes that it is to be celebrated in a sacred place, that is, in the parish church (not in private homes). 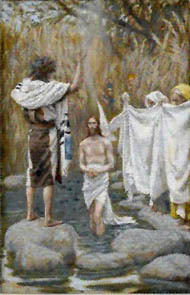 Baptisms are usually celebrated on Saturdays or Sundays but arrangements for weekday Baptisms can also be made with the priest. There is no fee for a Baptism. It is customary that a donation be made to the parish church and a stipend given to the priest who celebrates the Baptism. I want my child to receive the Mystery (Sacrament) of Baptism and realize it is my responsibility to raise him/her in the Faith by word and example. I am a registered member of my parish church. I attend the Divine Liturgy at my parish church regularly. I use my offering envelopes to contribute to the financial need of the parish. The Godparents of my child are practicing Catholics (one may be Orthodox). If the Godparents are not practicing members of my parish, I have received letters of good standing from their parish priests. Both Godparents are at least 18 years of age. I understand that the Mystery of Chrism (Sacrament of Confirmation) will also be celebrated at the time of the Baptism and will be sure that my child will not be Confirmed again when he/she is older.